TOP South African mountain biker Max Knox has been found guilty of a doping offense and banned for four years, the South African Institute for Drug-Free Sport (SAIDS) announced today. 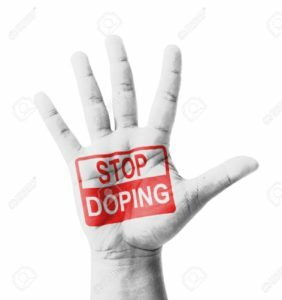 He was charged for suspicious variations in his Athlete Biological Passport (ABP) that indicated doping. He could not satisfactorily explain to a panel of international experts appointed by SAIDS the reasons for the variation. Knox’s ABP was monitored from February 2013 to June 2017. Irregularities included an artificially increased haemoglobin concentration over a period of time and bone marrow stimulation followed by immediate bone marrow suppression. The ABP was reviewed in conjunction with the cyclist’s competition schedules, race results and intelligence supplied to SAIDS. Knox’s explanations and supporting documents were rejected by the international panel as not providing explanations for the ABP changes and irregularities. Mr. Knox lodged an appeal against the initial decision, but failed to file any documentation for his appeal within the prescribed filing period. Knox is one of three mountain bikers given doping bans in the past 18 months as a result of a year-long investigation and tip-offs from whistleblowers. SAIDS’s CEO, Khalid Galant, said that the convictions arose from the first phase of an investigation being undertaken in collaboration with the Department of Priority Crimes and Investigations (the Hawks). The investigation will “continue to look at athletes, medical doctors, coaches and trainers and whether they have a role in a doping supply network”. Earlier this year SAIDS announced that one of the three mountain bikers found guilty of doping offences in the investigation was Shan Wilson, who was banned for six years after being found guilty of doping on five counts. These included: the presence of a prohibited substance or its metabolites or markers in a sample; trafficking or attempted trafficking in any prohibited substance or prohibited method; and complicity (being involved with others in acts that are breaches of the regulations). Wilson was initially tested in-competition on March 25, 2014. A female mountain biker was banned for two years after an adverse analytical finding for EPO (Erythropoietin) when she was tested on the 3rd of March this year. The South African Institute for Drug-Free Sport (SAIDS) is an independent public entity established by an Act of Parliament (Act No 14, 1997). Click here for more information about SAIDS.